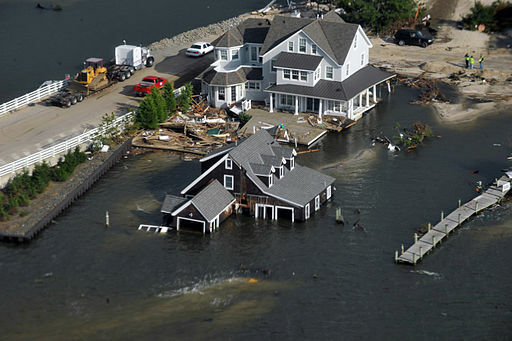 Almost two years ago, the Presidential Hurricane Sandy Task Force formed within the U.S. Department of Housing and Urban Development, launched the Rebuild By Design competition to advance resilience of communities affected by Hurricane Sandy. 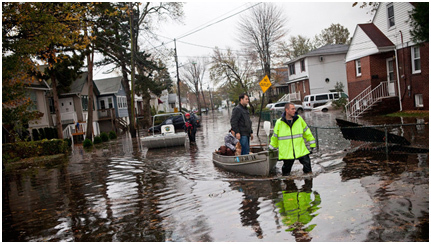 Interdisciplinary teams of engineers, designers and architects studied the region and developed long-term strategies for improving flood resilience. Two projects in New Jersey, Hudson River’s Resist Delay, Store, Discharge, and the New Meadowlands, were awarded $380 million of the $930 million in total funding. The $150-million New Meadowlands project, based on the original design of creating a system of natural reserves and berms to reduce flooding risks, will be used for a pilot project in Little Ferry, Teterboro, Moonachie, Carlstadt, and South Hackensack. 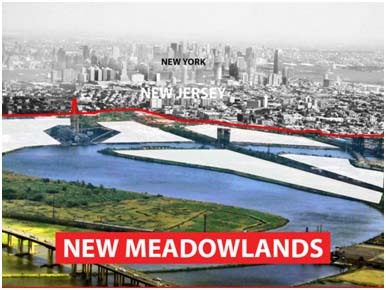 The state Department of Environmental Protection recently posted an update (pdf) of the New Meadowlands project on its website. According to this notice, the New Meadowlands flood risk reduction project conceptually consists of a large natural reserve along the Hackensack River that will connect and expand marshland. The design aims to use a system of green and gray infrastructure to protect against ocean surges and rain-related flooding. 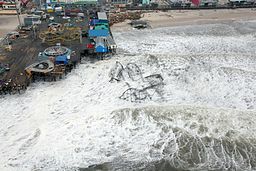 The update explains that DEP, the agency leading the planning, design and implementation of the project, is working with the New Jersey Department of Treasury to release a request for proposals for feasibility studies, the first step necessary to implement the project. The feasibility studies will analyze all available information that may be relevant to the project design and construction, and will ultimately determine what elements of the overall design can be built. During the feasibility stage, an environmental impact statement, a document describing the effects of the proposed activities on the environment and an analysis of alternative actions, will also be prepared. The update also outlined DEP’s public engagement efforts, stating that “DEP will continue to work with mayors and stakeholders to identify additional opportunities for outreach, including hosting additional public meetings in order to ensure that the process is truly open and transparent.” An email list has been created for interested parties to receive updates from DEP automatically. To join the list, sign up here. DEP’s update and mailing list are commendable steps in ensuring residents are notified and engaged in the development and implementation of the New Meadowlands project. New Jersey Future looks forward to the unfolding of a transparent and robust public outreach effort.